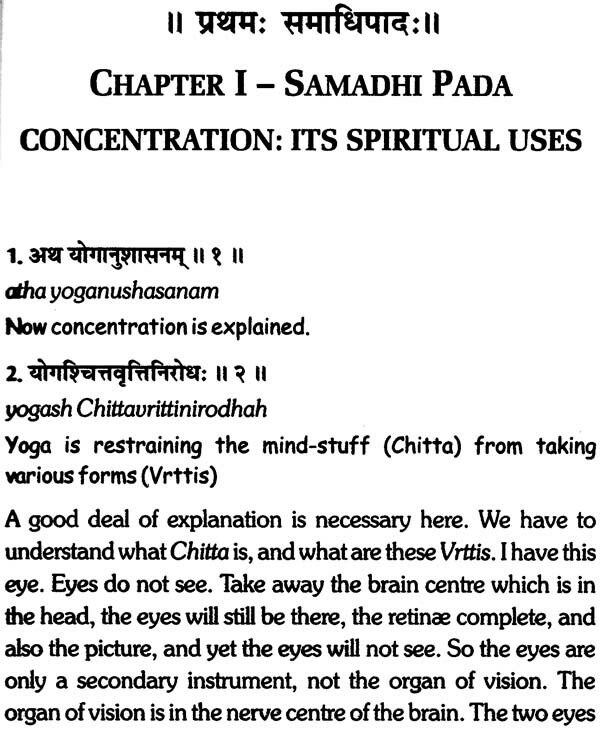 Yoga Sutra Patanjali by Swami Vivekanand presents the philosophy of salvation of human soul through exemplariness. This method is by a rigorous study and practice of Yoga. It takes you through in the valuable pat in of meditation and helps you in mastering your mind along with gaining physical, mental and emotional euphony. 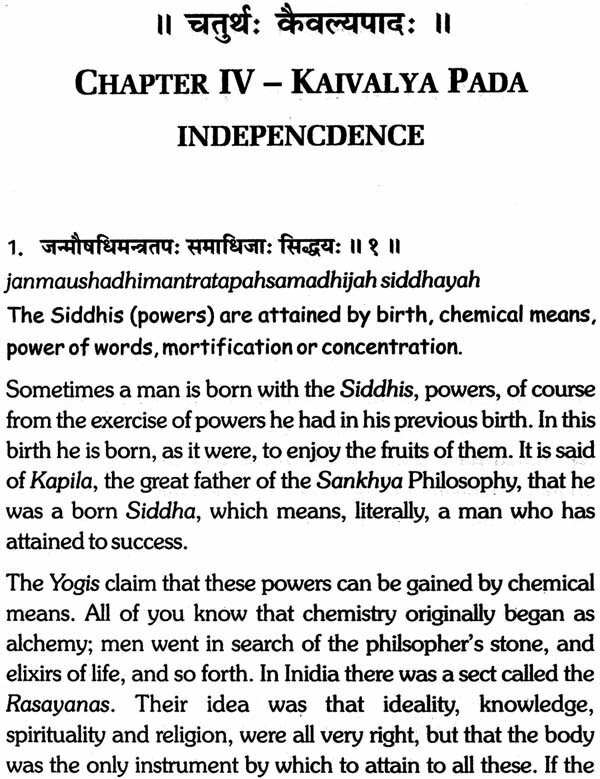 The core subject of the book is Raja-Yoga. With the advent of 21st century, there has been a desire be spiritually truthful, to assess self values and to race away from the traditional and orthodox cultural heritage in search of satisfaction, completion and to gain enlightenment. 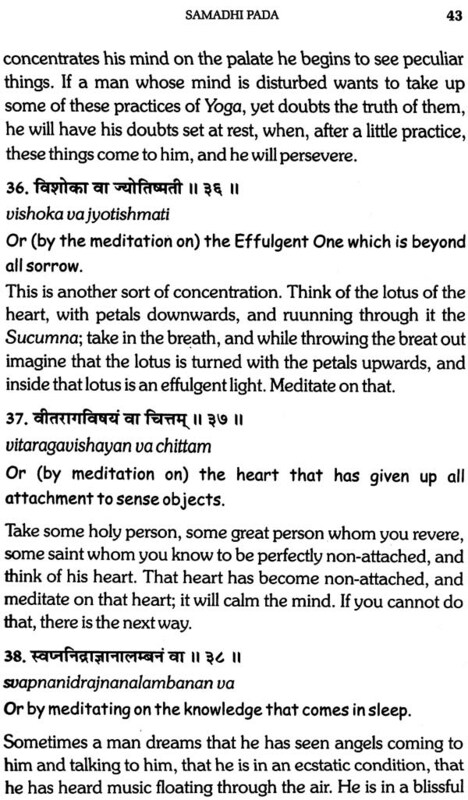 This book gives you the most pious translation of the 4000 year old sutras, originally penned down in Sanskrit language centuries ago. 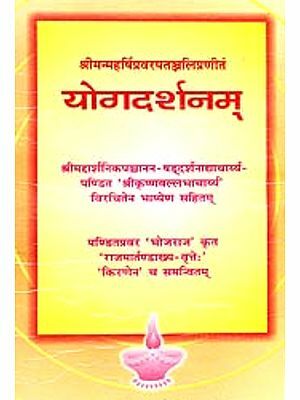 This book by Swami Vivekanand is your way to spirituality. 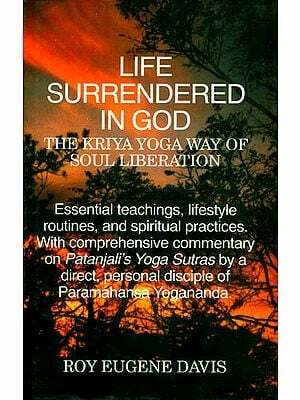 This sacred text leads you to the divine, completes your search for truth and your longing for inner peace through Swami ji’s practical advice, based on his own experience. 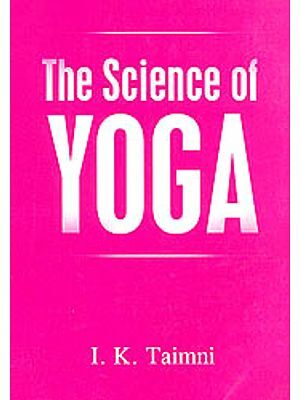 It covers yogic teachings on ethics, physical postures and handles the varying situations of day to day life. BEFORE going into the Yoga Aphorisms I will try to discuss one great question, upon which the whole theory of religion rests, for the Yogis. It seems the consensus of opinion of the great minds of the world, and it has been nearly demonstrated by researchers into physical nature, that we are the outcome and manifestation of an absolute condition, back of our present relative condition, and are going foreword, to return again to that absolute. This being granted, the question is, which is better, the absolute or this state? There are not wanting people who think that this manifested state is the highest state of man. 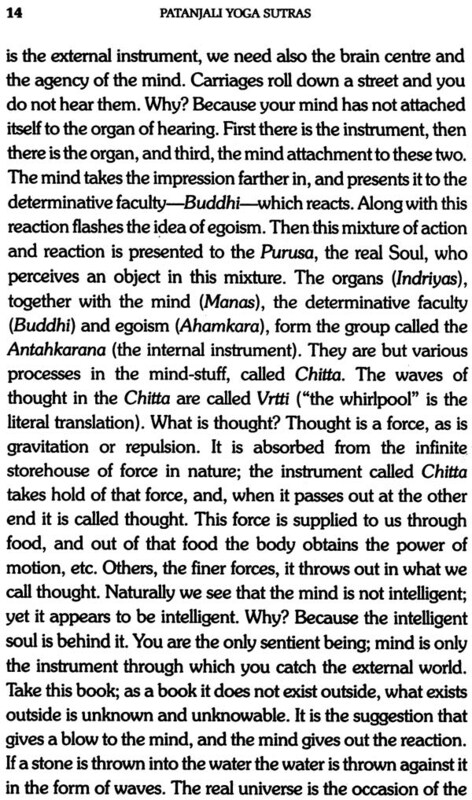 Thinkers of great caliber are of the opinion that we are manifested specimens of undifferentiated being, and this differentiated state is higher than the absolute. Because in the absolute there cannot be any quality they imagine that it must be insensate, dull, and lifeless, that only this life can be enjoyed, and therefore we must cling to it. First of all we want to inquire into other solutions of life. There was an old solution that man after death remained the same, that all his good sides, minus his evil sides, remained forever. Logically stated this means that man’s goal is the world; this world carried a stage higher, and with elimination of its evils is the state they call heaven. This theory, on the face of it, is absurd and puerile, because it cannot be. There cannot be good without evil, or evil without good. 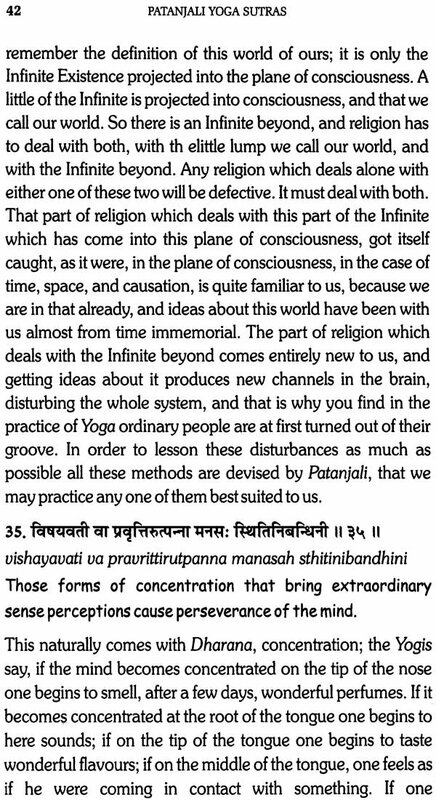 To live in a world where all is good and no evil is what Sanskrit logicians call “dream in the air.” Another theory in modern times has been presented by several schools, that man’s destiny is to go or always improving, always struggling towards, and never reaching, the goal. This statement, though, apparently, very nice, is also absurd, because there is no such thing as motion in a straight line. Every motion is in a circle. If you could take up a stone, and project it into space, and then live long enough, that stone would come back exactly to your hand. A straight line, infinitely projected, must end in a circle. Therefore, this idea that the destiny of man is progression ever foreword and foreword, and never stopping, is absurd. 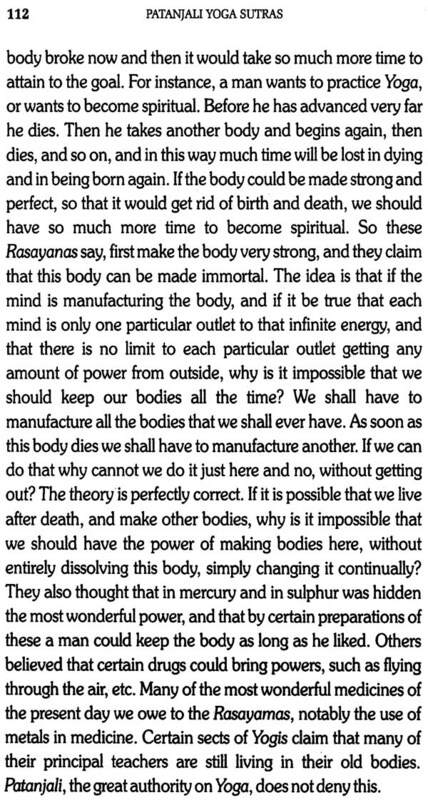 Although extraneous to the subject, I may remark that this idea explains the ethical theory that you must not hate, and must love, because, just as in the case of electricity, or any other force, the modern theory is that the power leaves the dynamo and completes the circle back to the dynamo. So with all forces in nature; they must come back to the source. Therefore do not hate anybody because that force, that hatred, which comes out from you must, in the long run, come back to you. If you love, that love will come back to you, completing the circuit. It is as certain as can be, that every bit of hatred that goes out of the heart of man comes back to him full force; nothing can stop it, and every impulse of love comes back to him. On other and practical grounds we see that the theory of eternal progression is untenable, for destruction is the goal of everything earthly. All our struggles and hopes and fears and joys, what will they lead to? We will all end in death. Nothing is so certain as this. Where, then, is this motion in a straight line? This infinite progression? It is only going out to a distance, and again coming back to the centre from which it started. See how, from nebulae, the sun, moon, and stars, are produced; then they dissolve, and go back to nebulae. The same is being done everywhere. The plant takes material from the earth, dissolves, and gives it back. Every form in this world is taken out of corresponding atoms and goes back to those atoms. It cannot be that the same law acts differently in different places. Law is uniform. Nothing is more certain than that. If this is the law of nature, so it is with thought; it will dissolve and come back to its origin; which is called God or Absolute. We all came from God, and we are all bound to go to God, call that God by any name you like, the fact remains the same. “From whom all this universe comes out, in whom all that is born lives, and to whom all returns.” This is one fact that is certain. Nature works on the same plan; what is being worked out in one sphere is being worked out in millions of spheres. What you see with the planets, the same will it be with this earth, with men and with the stars. The huge wave is a mighty compound of small waves, it may be of millions; the life of the whole world is a compound of millions of little lives, and the death of the whole world is the compound of deaths of those millions of little beings.